Back with their classic lineup, this is essentially a return to Corrosion of Conformity’s Deliverance/Wiseblood days, giving us 53 minutes of Southern metal mixed with good old-fashioned rock ‘n’ roll attitude. In many ways No Cross No Crown continues on from where Wiseblood left off, and as such, is one of the most enjoyable albums the band have released. As much as I liked IX, No Cross No Crown blows it out of the water. The album is a treasure trove of heavy riffs, bluesy groove, rocking fuzz, and jamming fun. Hard rock, southern metal, and just the right amount of swampy sludge rock combine into the perfect storm of riffs, catchiness, and hooks. Across the album the band’s Southern stomp is juxtaposed against mellower, lighter parts and tracks, providing a well-rounded release that occasionally shows a nuanced side to the band’s delivery alongside their more obvious assets. The songs are well-written, as you would expect, and have a maturity about them which speaks to the fact that when given the choice between instant appeal shallowness or slower-burning depth, the band know enough to choose the latter the majority of the time. This doesn’t mean there aren’t plenty of catchy hooks strewn throughout the album’s musical landscape, (there are), it just means that even though the album is obviously a good one when you first listen to it, it takes multiple sittings to really appreciate its rough charms. Which is all for the better, in my book. Yes, No Cross No Crown is an accomplished album that’s very enjoyable. Although not perfect, it’s better than most, and sees Corrosion of Conformity once again doing what they do best. 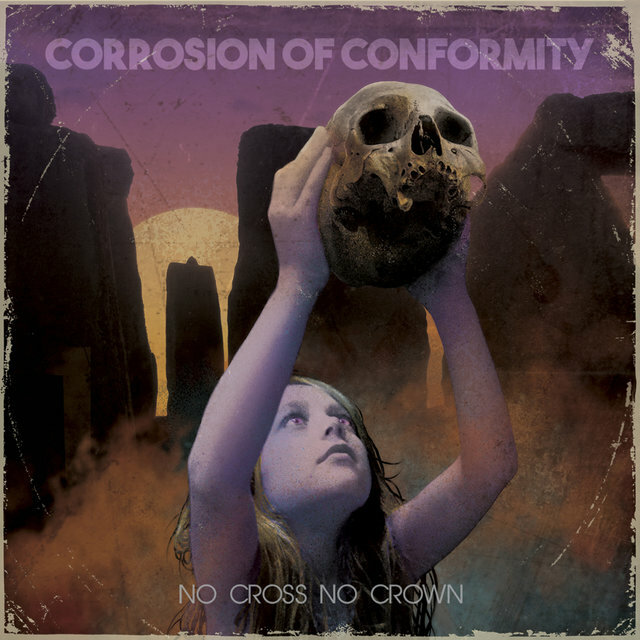 This entry was posted in Metal and tagged Corrosion of Conformity, Metal, Rock, Sludge Rock, Southern Metal, Southern Rock. Bookmark the permalink. I saw them this week with Eyehategod and 2 Toronto bands.